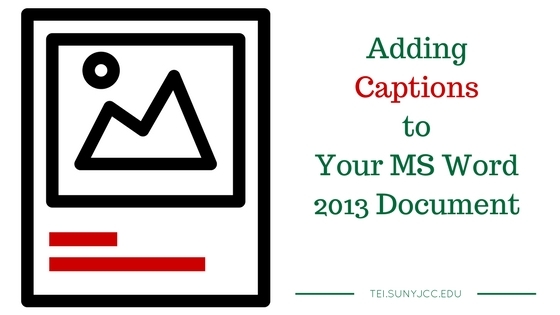 Did you know that you can easily insert captions in a Word 2013 document? 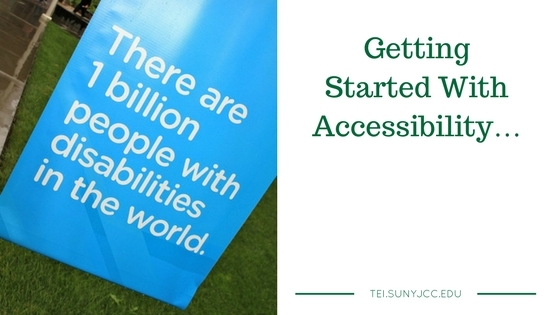 Colleges and Universities are required by law to provide programs and services that are accessible to all qualified participants, including those with disabilities. What does that mean for you as an instructor? What do you need to know to facilitate the inclusion of all students in your classes? When we talk about good Web layout, and student usability of courses, one of the main factors is the readability of the textual content that they are expected to learn and/or interact with. Any number of factors can hinder this usability – which include, but are certainly not limited to, images that, rather than enhancing the learning, become distractions with movement or irrelevance to the topic at hand; difficult to read fonts. Likewise, serif-style fonts (i.e. Times New Roman) are generally more difficult to read on a computer screen than their sans-serif (Arial, Tahoma, Calibri) cousins, as well as too much text filling up the field of vision. Low Vision – What Exactly is It? Low vision – what exactly is it? 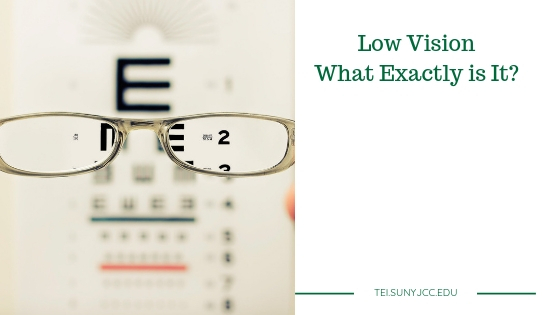 Essentially, “low vision” describes a visual impairment that is not correctable through surgery, pharmaceuticals, glasses or contact lenses. It is often characterized by partial sight, such as blurred vision, blind spots or tunnel vision, but also includes legal blindness.